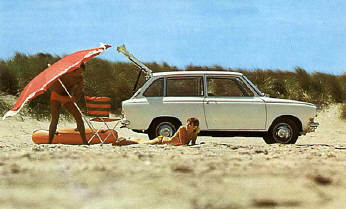 The DAF 44 was launched in 1967, but the design and planning for it started as far back as 1964. This was the first of the "B-body" DAFs as opposed the "A-body" (Daffodil, DAF 33 range). DAF commissioned the Italian designer Giovanni Michelotti to design the new shape. You can see the resemblance to other Michelotti designs such as the BMWs and Triumphs from the same era. It was larger than the A-body cars, giving more passenger and luggage space, and the DAF air-cooled engine was increased to 850cc. The 44 was produced until 1975 with some engineering and design tweaks. 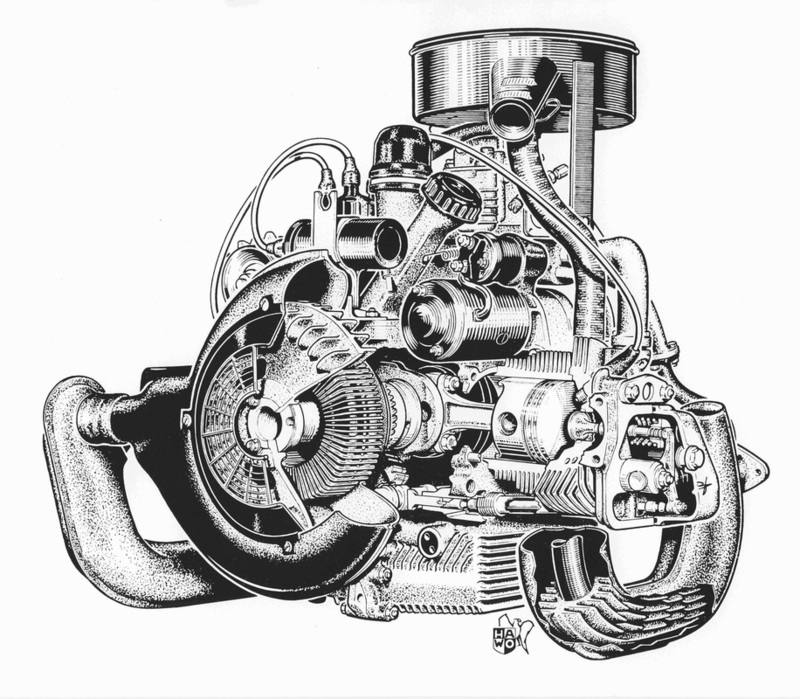 The first series continued to use 6 volt electrical system, but in 1970 this was ugraded to 12 volt. The introduction of the B-body also allowed DAF to produce different versions of that bodyshell. For the 44, this meant that an estate version of the car was also sold. Naturally all used the Variomatic transmission which had been modified slightly from the DAF 33, the main change being larger drive belts and pulleys. The DAF 46 was interesting. At first glance, it looks like a DAF 44. It shared the same bodyshells (saloon and estate) and engine, and the interior was slightly more upmarket. It was introduced in 1975, after Volvo had taken over DAF Cars and was even sold in some Volvo dealers. The big changes were under the skin to the Variomatic and rear suspension. It used in effect "half" a 66 transmission. I.e. it used just a single drive belt. 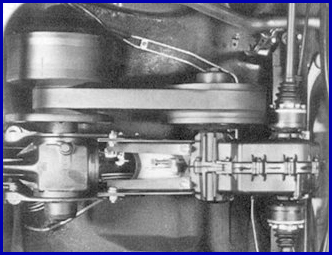 It also used a de Dion rear suspension system, again from the DAF and Volvo 66. This improved the ride and handling considerably, dispensing with the 44's swing axle arrangement.